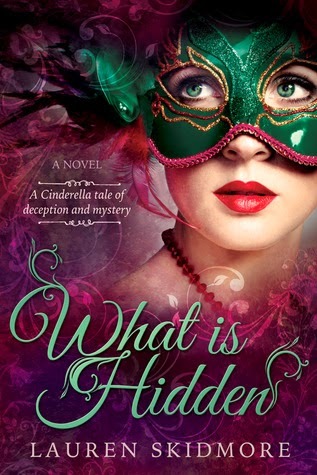 Earlier this year, I came across a review of What is Hidden- a Cinderella retelling where everyone wears a mask. I'm a sucker for fairy tale retellings, and the cover, while a little too pink, is so pretty, so I tracked down a copy. The atmosphere is rich, but the plot and characters failed to make a strong impression. In Venesia, your mask is your life. It is your face, your rank, and your identity. Without a mask, you are nothing. Which makes the Chameleon the most dangerous criminal in the land. Evie lives in a city where everyone wears a mask. The make and material of your mask reveals your rank, wealth and occupation, so no one is using them for deceptive purposes. Or so Evie thinks, until an attack forces her into hiding behind the mask of a palace servant. This is a world where you are judged by your looks, or at least by your mask. I love the fantasy Venice setting, though we spend most of the book cooped up in the palace due to a series of coincidences. I took issue with the fact that the time between Evie being attacked, her house being burned and her entering the palace passes by in a vague blur; I didn't understand Evie's reasoning for running to the palace. It felt more like "let's jump to this point and then the story can pick up again." Similar logic gaps surround the criminal Marks, which are supposed to be a big deal, but I never got enough information on the why or how. And I didn't see the point of Aidan's "fighting lessons." They don't lead up to or amount to much. On the bright side, the romance is a tiny bit deeper than Disney's Cinderella (they've known one another for longer than one night). My biggest problem is the ending. It's so sudden, and then action, and then people, and then wha? I don't like being left with a number of (important) unanswered questions, especially at the end of a standalone. While the writing was acceptable to my reading mood at the time, the author often shows, then tells, too, in the same sentence. A little trimming would make for a cleaner read, as would corrections of the three or four typos and/or missing/wrong words I found. :( The language is more modern than what I usually find in fantasies with technology indicative of a historical era. And the Japanese names (pardon the cliché) stood out like sore thumbs. An Akita named Hachi and a Lacie (basically a geisha/ninja) named Tomoyo? After reading the author's bio, I learned she minored in Japanese and spent a year in Japan. I think I get why she used them, but those names didn't fit in her fantasy Venice. Hmm... sounds odd. I don't think I'd want to read this one. Great review! Can't wait to see what you throught of Storm Siren. I'll be reading it soon. Thank you! It wasn't horrible, but there are better Cinderella retellings out there.